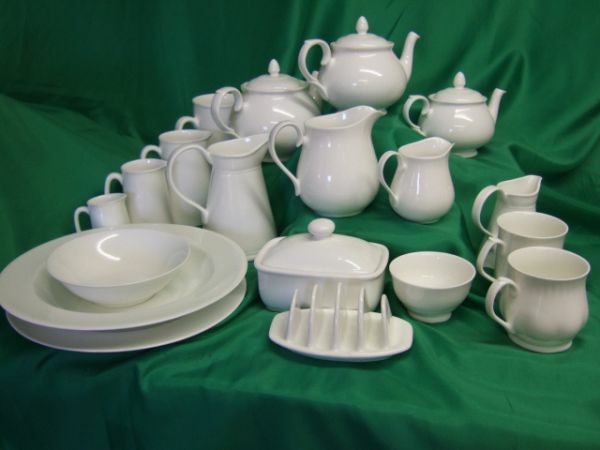 We stock quite a wide range of Whiteware, most of it Made in England by Milton China. 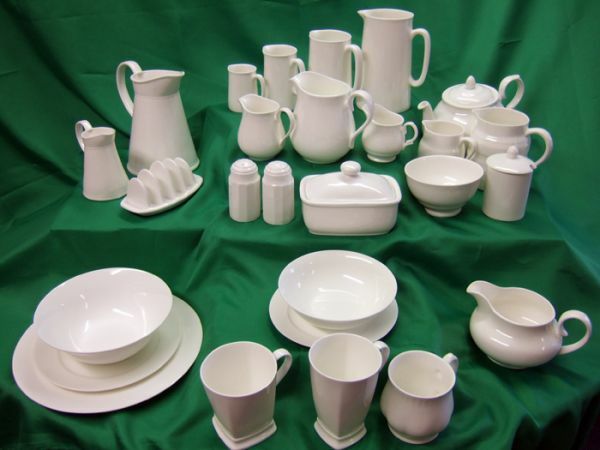 You will find mugs, jugs,butter dishes, toast racks, salt & pepper sets, gravy boats, sugar bowls, cups & saucers etc. Our flat ware is mainly made abroad, but still good quality, and includes dinner plates, side plates, cereal bowls, oval platters, pasta plates, salad bowls etc.